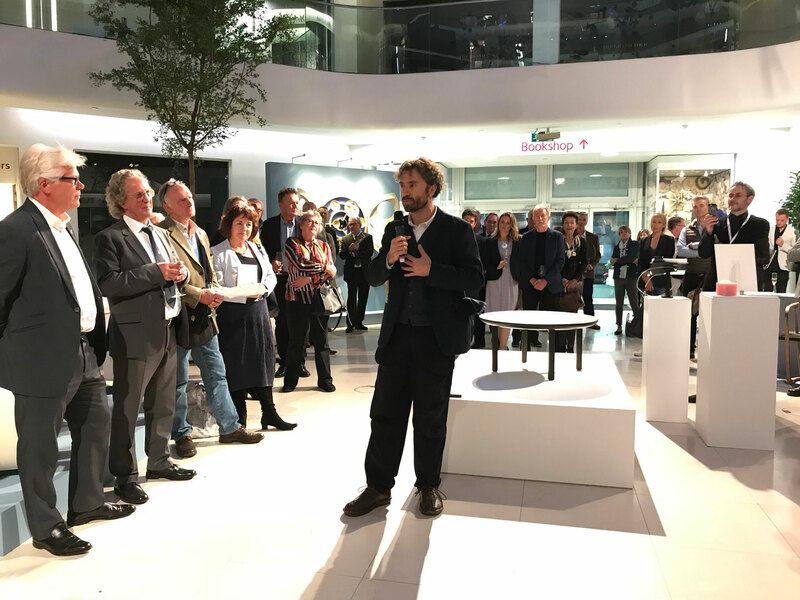 Thomas was awarded an honorary Bespoke Guild Mark by The Furniture Makers’​ Company for the Friction table at a private viewing of the Evolution of Tradition exhibition last night. The exhibition features furniture exclusively from Bespoke Guild Mark holders, including 28 pieces from 15 designer-makers. A 1:2 scale model of the Friction table will be on display at the Evolution of Tradition exhibition from 2-5 October 2018 at the Design Centre, Chelsea Harbour.